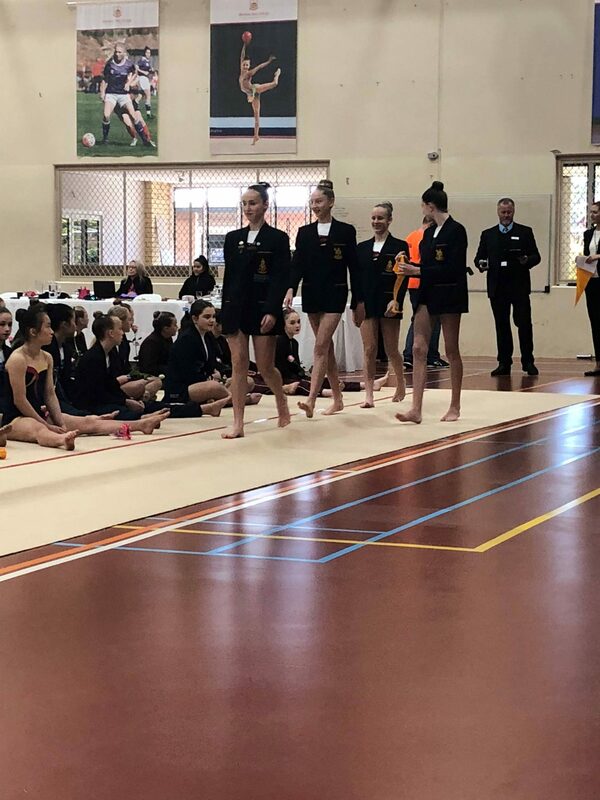 Dedication, resilience and grace come to mind to describe the 2018 Rhythmic Gymnastics team. Lead by Co-Captains Kara Kroon and Lily Baker, this year’s team produced our best results since 2013. 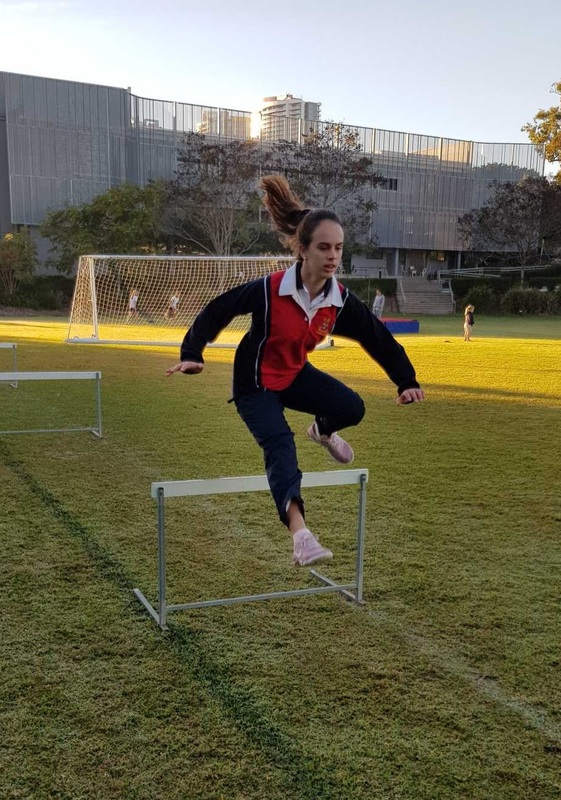 A massive thank you to the parents and girls that committed to early morning training and to our coaches Akoulina, Tatiana and Shauna whose excellent coaching is a testament to the girl’s success. 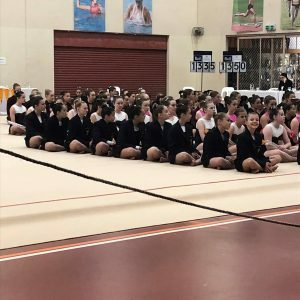 *B Grade is across different apparatus (Rope, Ball & Hoop) The Judges take the two highest scores across these teams/apparatus. 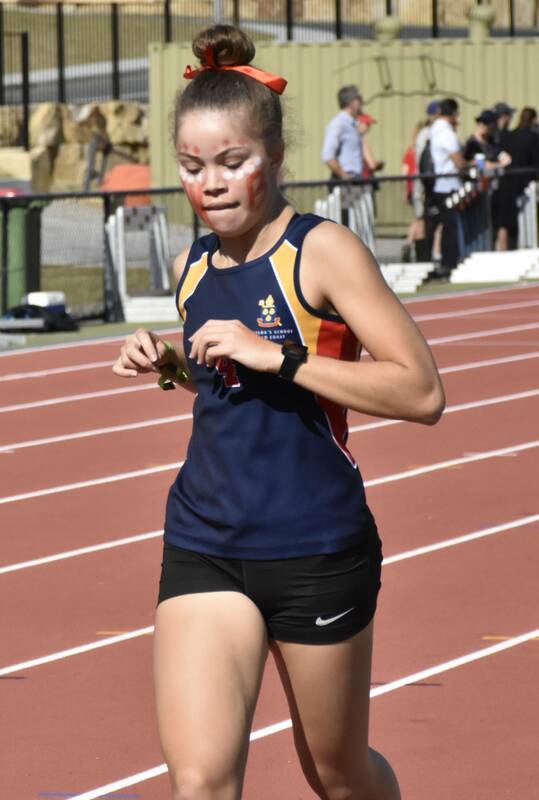 Lucinda Macleod Griffith – swimming 10 events = 7 PB’s 1st place 400 Free, 50 Fly ,and 200 Meter free. 2nd place in 100 back, 50m back and third in 200 IM. A big welcome to our new aquatics team members, Suzy McCaughtrie and Ethan Cole. Both Suzy and Ethan have an extensive background in competitive swimming and coaching. 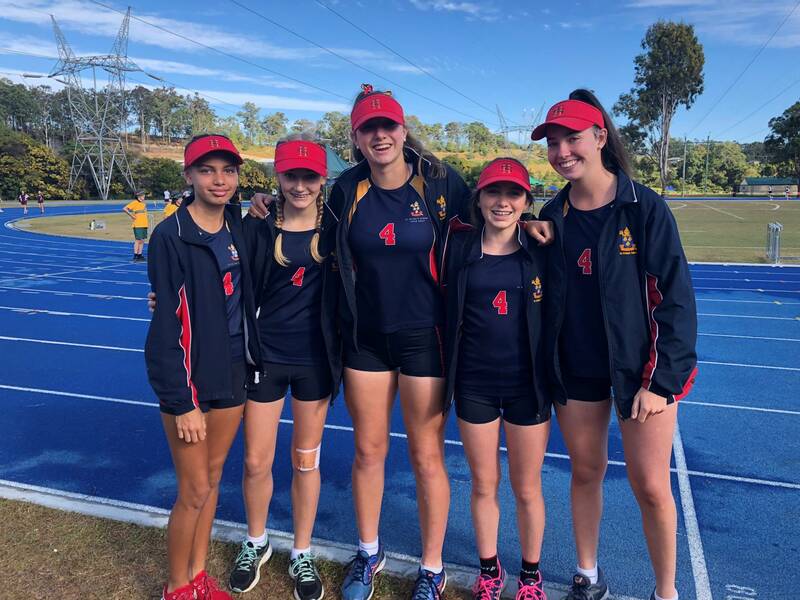 St Hilda’s Aquatics squad members have been competing in a range of meets across the Coast and in Brisbane. 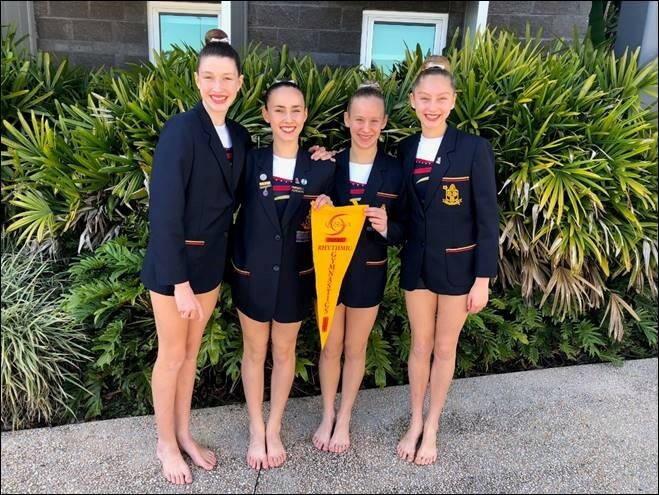 A team of 13 girls from St Hilda’s Aquatics enjoyed a highly successful meet at All Saints with many girls achieving PB’s and numerous medals. 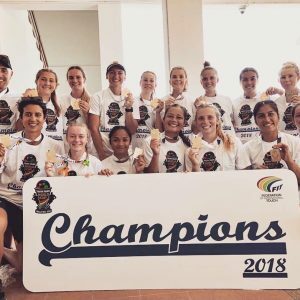 TOUCH COACHES – World Champions! 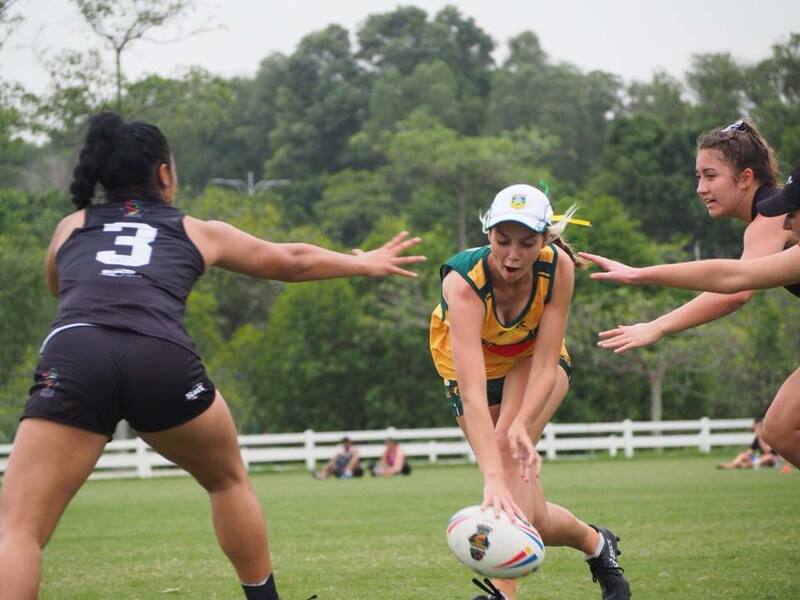 Congratulations to St Hilda’s QGSSSA Touch coaches Tiarni Bryce and Paije Hockings who were both selected in the Australian Youth Trans-Tasman teams to compete in Malaysia at the Youth Touch World Cup in August. 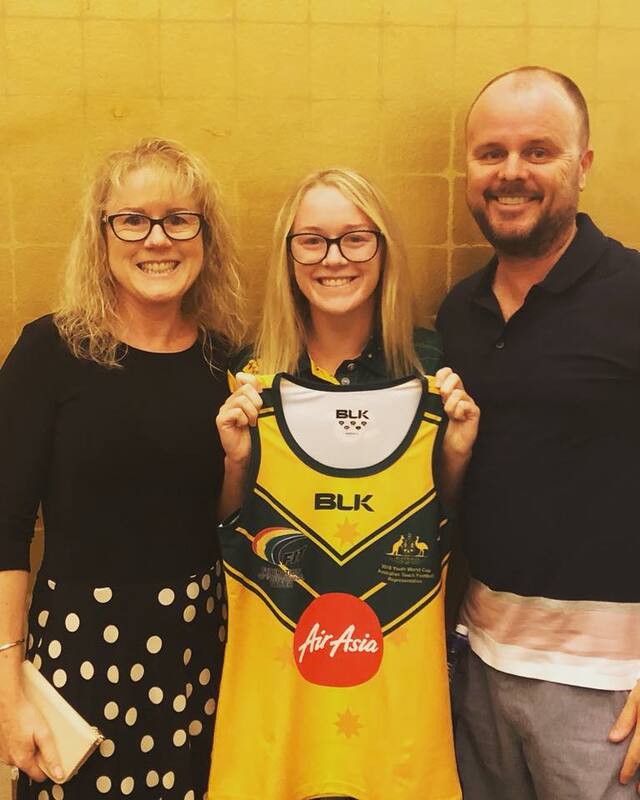 Both girls received their Australian Jerseys in a special ceremony and are excited to be representing their country. 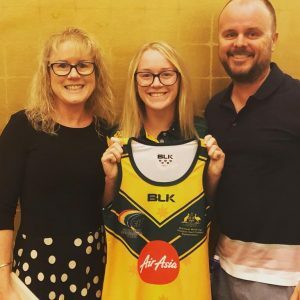 Tiarni was part of the successful U18 Australian team that are World Champions after beating New Zealand in the final. 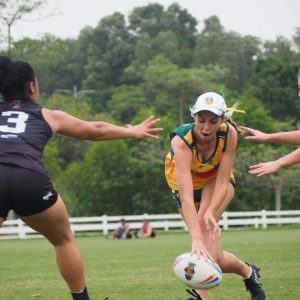 Tiarni also scored 2 tries in the final! 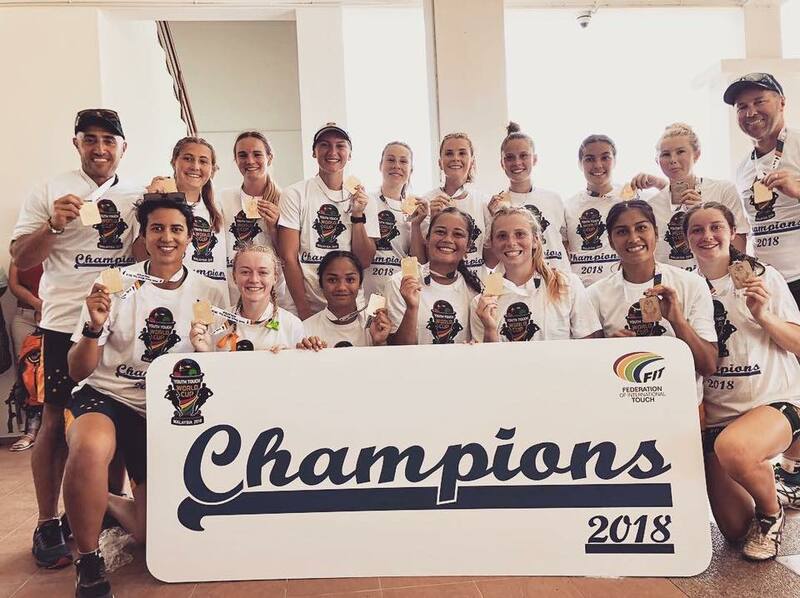 Paije was in the U20 team, also World Champions after beating New Zealand in the final. Congratulations to both girls after their very successful World Cup campaigns! Have you ever thought about Surf lifesaving as a sporting pursuit? 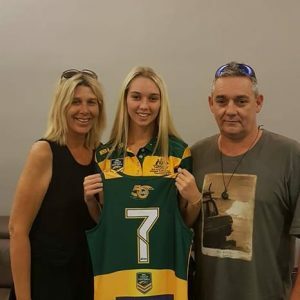 On Tuesday 4 September we will be welcoming guests Trevor Hendy, Ali Day (who just won the World Iron Man series in Bali) and Kirsty Higginson (Surfers Paradise Iron Women series competitor) to our Middle Senior assembly. 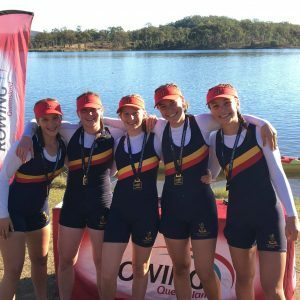 We have many girls who are active members and competitors at local surf lifesaving clubs across the Gold Coast. It is wonderful to be able to give back to Not for Ourselves Alone. 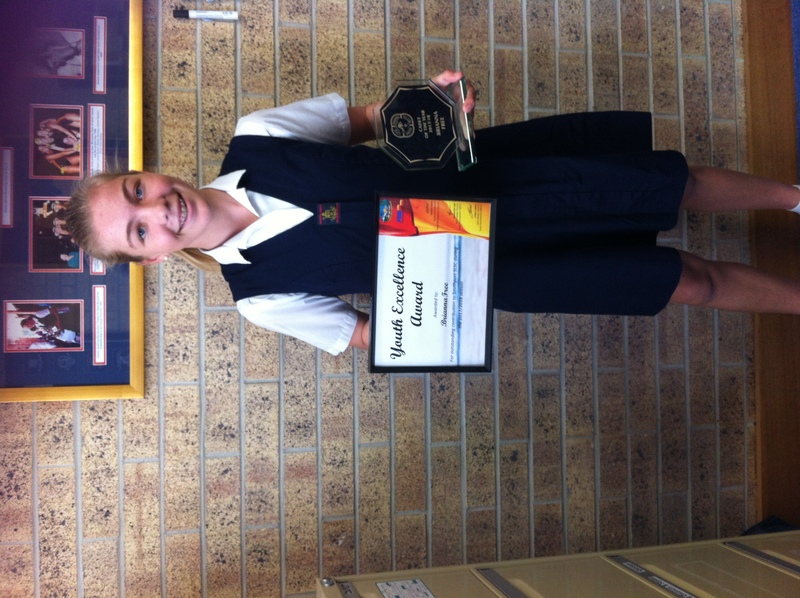 Congratulations to one of our students, Brianna Free who was recently awarded the Youth Excellence Award’ and ‘Cadet of the Year’ for the 2017-2018 season. 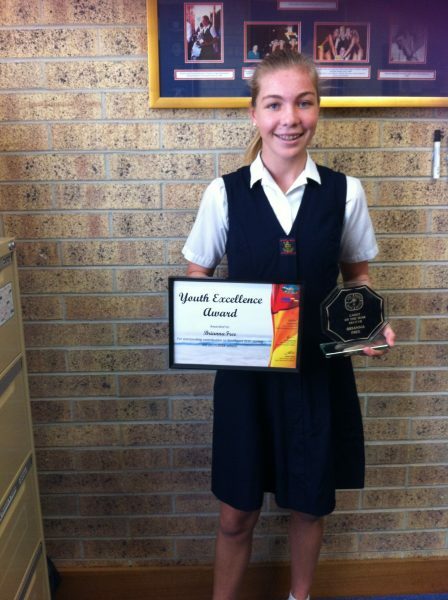 Brianna is a member of the Southport Surf Life Saving Club. 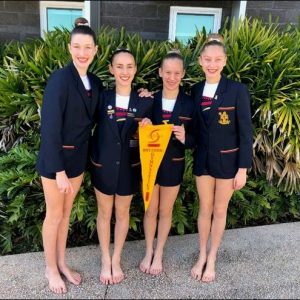 At 16 years of age Kiera is a member of the Gold Coast Mermaid’s Synchronised Swimming Club and has started the 2018 season with great success, winning 5 Gold Medals at Australian Nationals, and representing Australia in duet with Rachel Presser at FINA World Series in Japan and America Open. 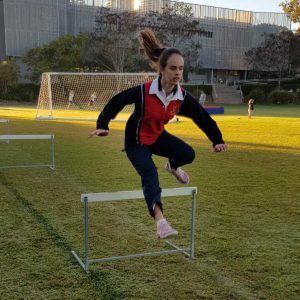 We are very proud of your achievements Kiera! Both the Junior and Open teams played great games on the weekend, making significant improvements on their first games. The girls were keen to play and gave it their best. They displayed new skills that led to a great defensive game. Our Opens team played an exciting game with Keely Whittaker and Laney Smith scoring goals. The girls played strongly in attack and defence against Somerville House with our goalie saving several balls. Overall, the girls had great first home games. Two exciting games against State High with exceptional defence from both teams. It was a tough game but our senior girls managed to stop several goals – keeping the score at single digits. All of the girls played really well gave it their very best. Katelyn Green, volunteering as goalie to play the first half, played a really great game having never played goalie before, and did an excellent job. Our Juniors played a fantastic game, stopping lots of goals and never giving up throughout the game. All the girls played really well and worked well as a team. Both teams played exceptional games. Our Juniors played a great game, with significant improvements made. All girls played hard in defense and worked well as a team in attack. Harriet Richards played an outstanding game, trying to stop every ball. The Opens played a tough game against St Margaret’s. All girls played hard to stop each ball. Olivia Furnell played a brilliant game, getting involved in the game. We also had Lacey, from the Junior team, volunteer to be the Opens goalie, and she did an amazing job. Both games were very close and exciting games. 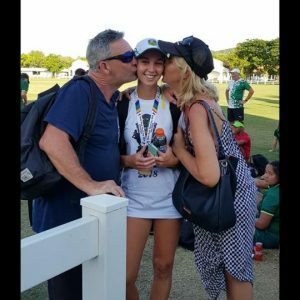 What a fantastic weekend for netball! It was our first home game and what a way to start with a couple of wins. The Senior A game was great to watch with the team coming out on top by just one goal. 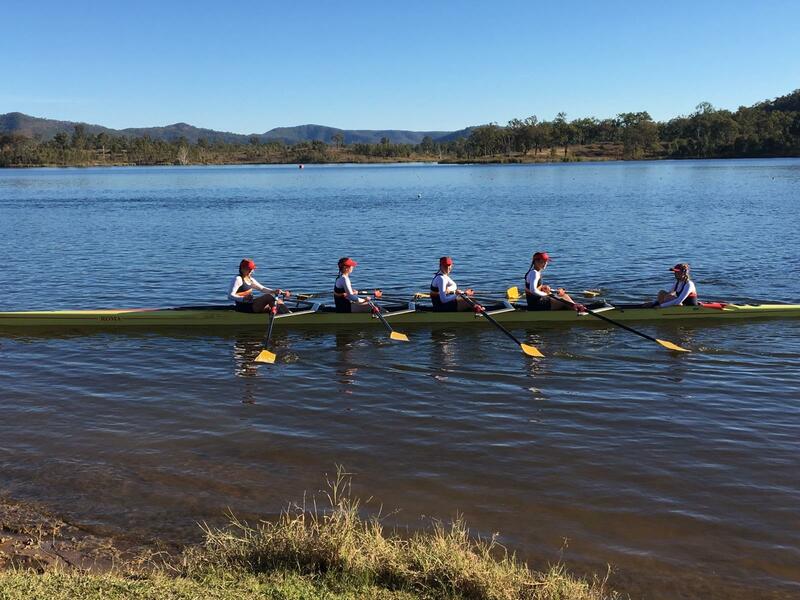 Congratulations to the Senior B team and 7C who also won. 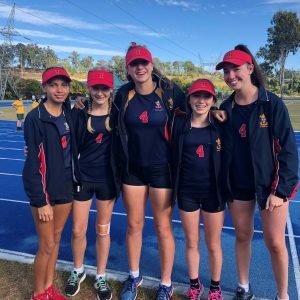 A shout out to Coralie Bradnam from the 7B team who got an abundant amount of intercepts. We would like to say a big thank you to all the girls who helped out with duty this week and to the Years 7 and 8 teams who brought copious amounts of food. Our School spirit is definitely building as a community and we can’t wait to see what next week’s game brings. Keep working hard girls! 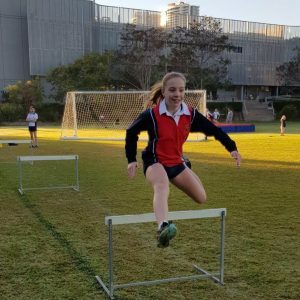 Today the Opens were very lucky to be invited to Brisbane State High School. It was a very special day as we celebrated 50 years of BSHS being involved in QGSSSA. It was also a day to recognize women in sports and their achievements, which is something very close to all our hearts. The Opens team played extremely well but were beaten on the day. 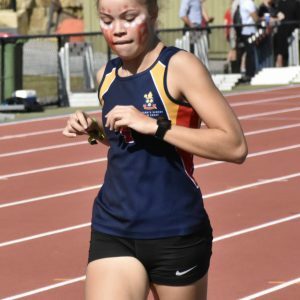 Everyone gave 100% and the girls’ sportsmanship was to be commended. Following the game, the Opens team was fortunate to be provided with a very special morning tea and gifted a badge in recognition of this important event. This week was a very competitive round of games against St Margaret’s. There were a lot of close scores and every team gave 100%. Also, big congratulations to the Year 8 team for their first win of the season. 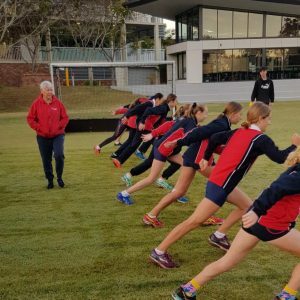 Continue to train hard girls in the lead up to next week’s games. Last Saturday was the first home game; the girls did an amazing job catering for the opposing school as well as ourselves. There was no shortage of healthy snacks for players, and the caring nature of St Hilda’s girls shone brightly. The weather conditions were perfect for a morning of tennis and every girl gave their best. Big congratulations to the Opens team for their win. It was a very tight game with one win in the doubles and three in the singles. The Senior As, however, walked away with a close loss overall. 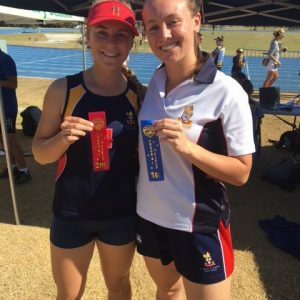 Lucia McCarthy brought home a win of 6:0 in the Senior A’s singles. Looking forward to the next game and wishing the best of luck to all girls. Last Saturday marked Round 3 in the Winter Fixtures. 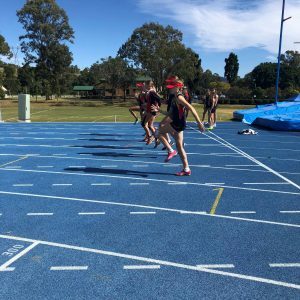 The girls were up nice and early and ready to give it their all against Brisbane State High School. This week saw the Senior Bs coming back on to the court giving it a red-hot go. 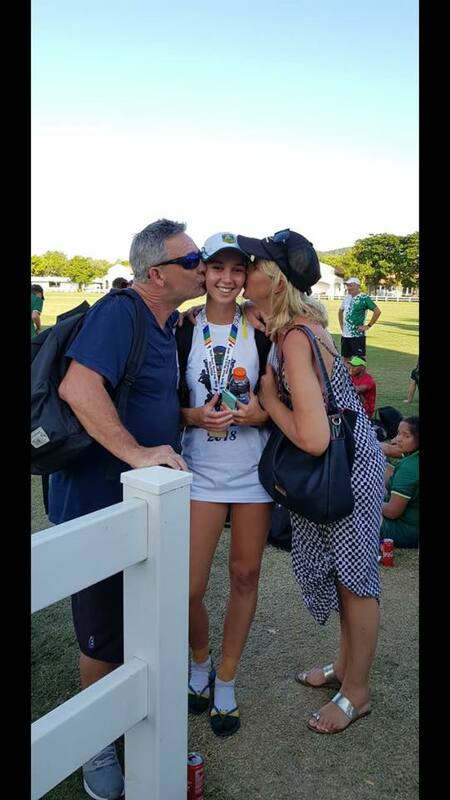 Lindsay Engelen did really well in the Opens again, coming away with a win in the singles. 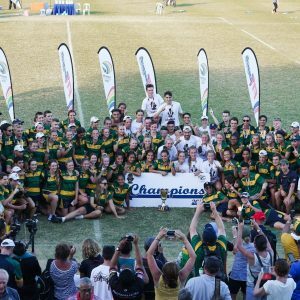 The Juniors were playing at the same venue as the Seniors and came away with an overall win. 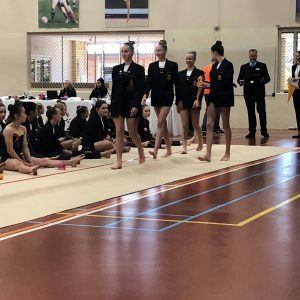 While some of the girls may not have been happy with their results, all girls displayed great sportsmanship and are looking optimistic towards the future rounds. 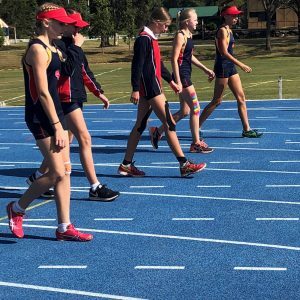 We had our second home game last Saturday and saw many excellent results from all the girls. The weather was perfect for an early morning match. Not only were the girls competitive but they also enjoyed their games and show great teamwork when playing doubles. The teams were very supportive of one another, which contributed to our wins. The past two weeks of volleyball have been a good start to the season. All the girls have been putting constant effort each week at trainings and is showing major improvement each game. Attitudes the girls put forward each game with regards to duties and supporting other teams has been inspiring to watch! We are looking forward to the rest of the volleyball season. 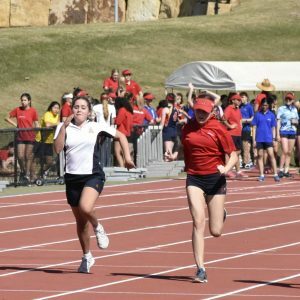 On Thursday 26 July our Middle Senior School participated in the final event on the 2018 Inter-House Carnival calendar. 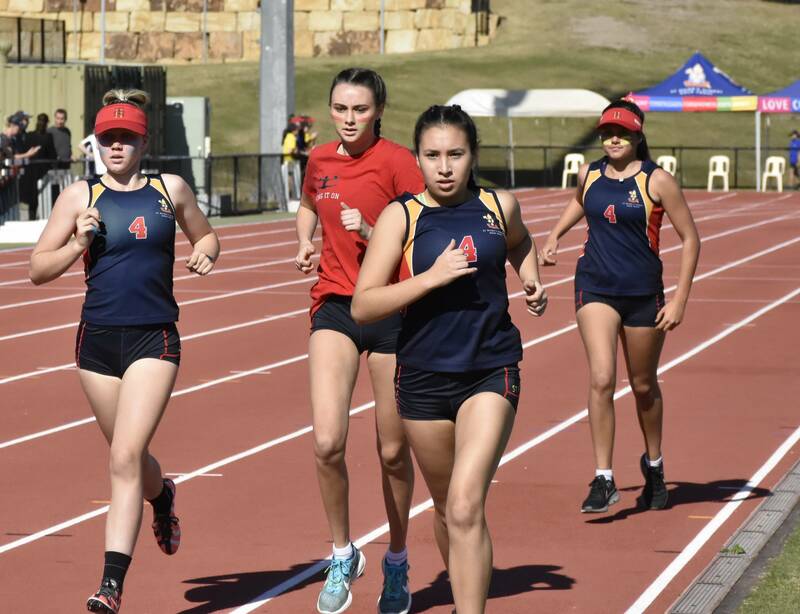 The sun was shining and there was plenty of competitiveness and spirit on the day, which produced some fantastic individual and team results. 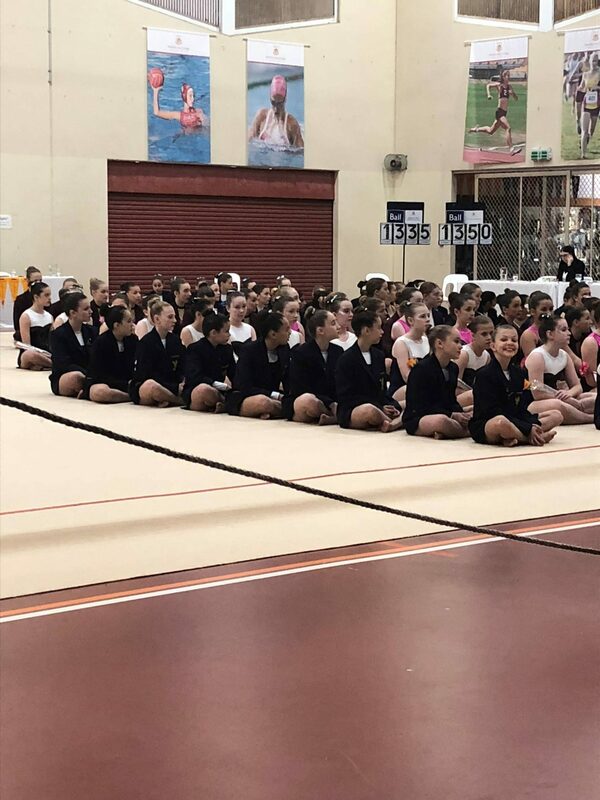 Thank you again to all of the staff that came to support the day as officials or supervisors and to the families that were there to cheer the girls on. Congratulations to Karragaroo, the winning House this year! 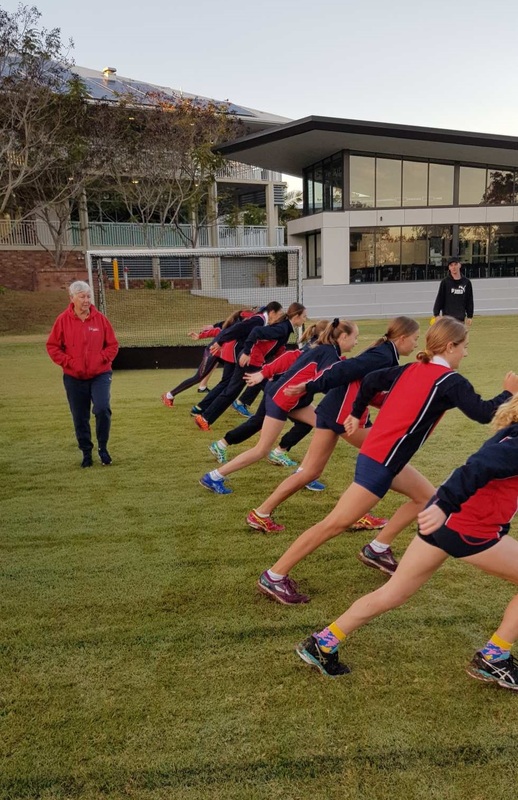 Our Athletics training squad has been operating on-site three mornings a week since mid-May (6.30am-7.30am). 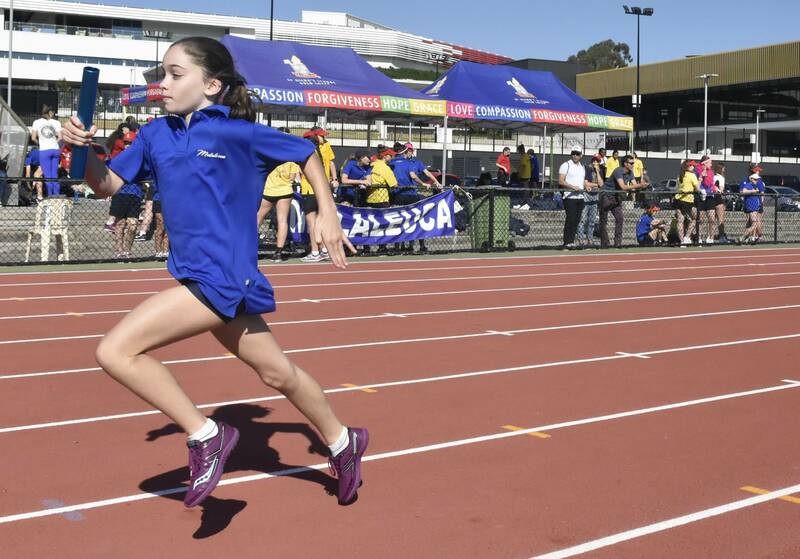 We have highly qualified specialist coaches available across these three mornings running both track and field events. 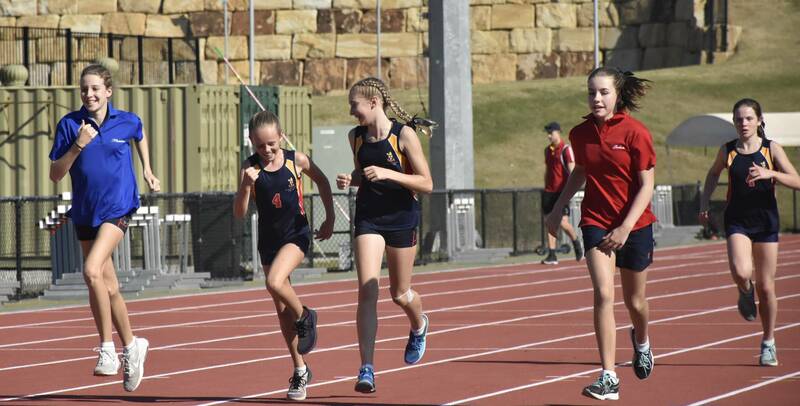 If you have wanted to try athletics and wish to participate, please email sport@sthildas.qld.edu.au. 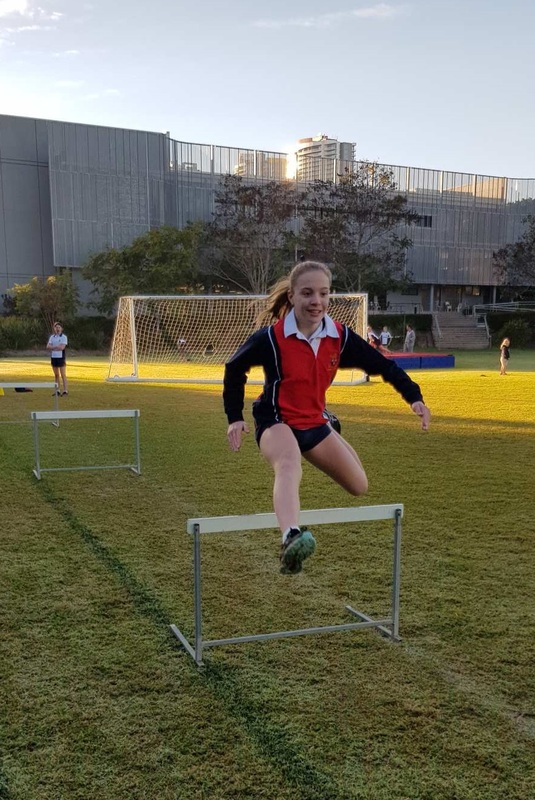 The 2018 QGSSSA Athletics Meet is on Monday 15th of October at QSAC Nathan. We would love more girls to come and train with the final team being formally announced at our team breakfast at school on Wednesday 10th of October. 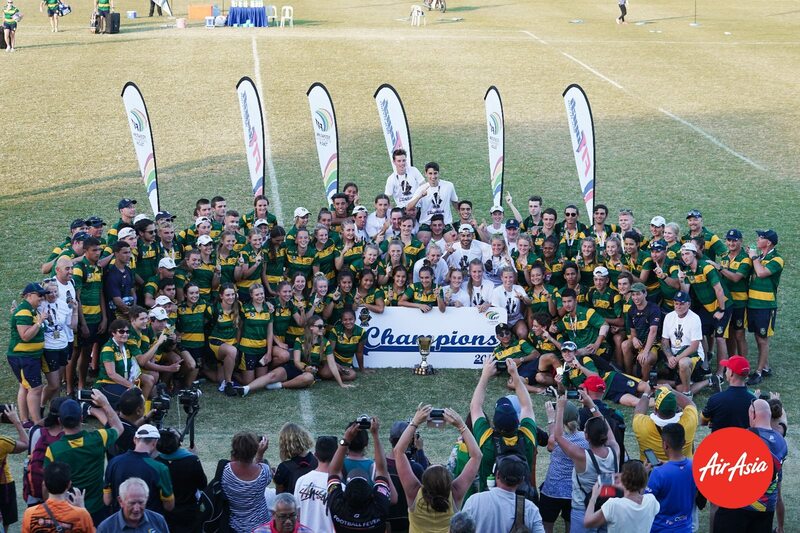 House Athletics Carnival Champions Karragaroo! 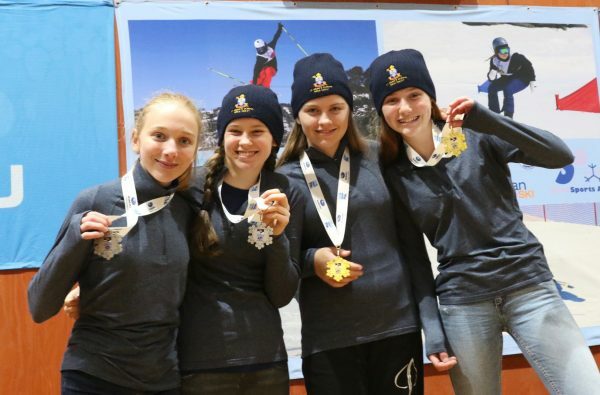 Our Girls qualify for the upcoming Snowsport Nationals! Congratulations to Madi Cartwright (Year 10), Grace Cowley (Year 9), Jacqueline Cartwright (Year 8) and Ava Cowley (Year 8) who have qualified to participate in the 2018 Nationals in Perisher September 5-9. 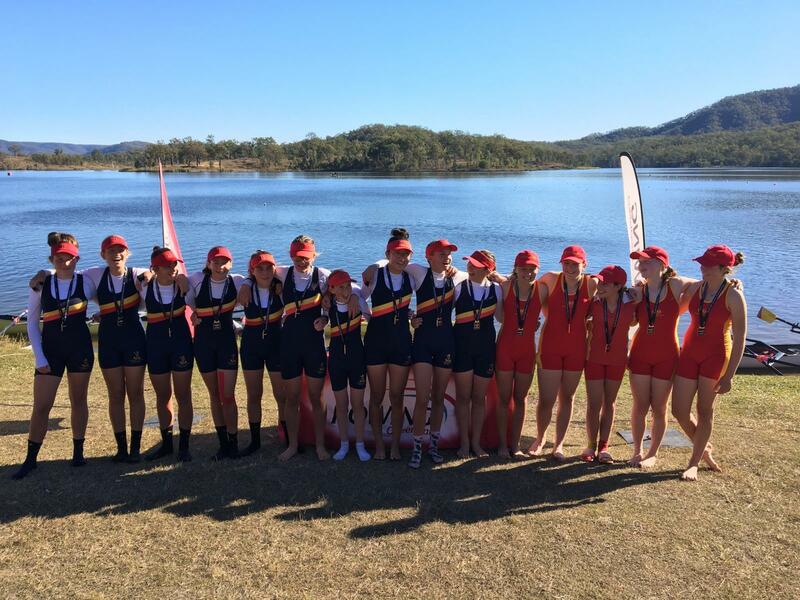 The past four regattas have been tremendous for St Hilda’s out at Wyaralong. 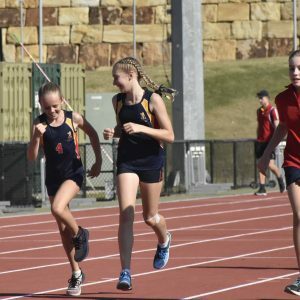 We have seen some amazing results across all year groups, especially from the Year 8s who are dominating their year level either winning or placing in the top three for each race. 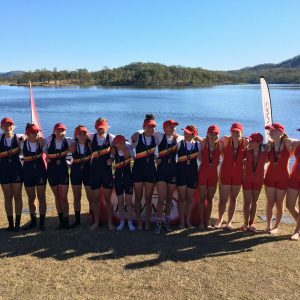 This past weekend saw St Hilda’s achieve its best results so far this racing season with 25 wins overall for the day, winning 51% of the regatta. 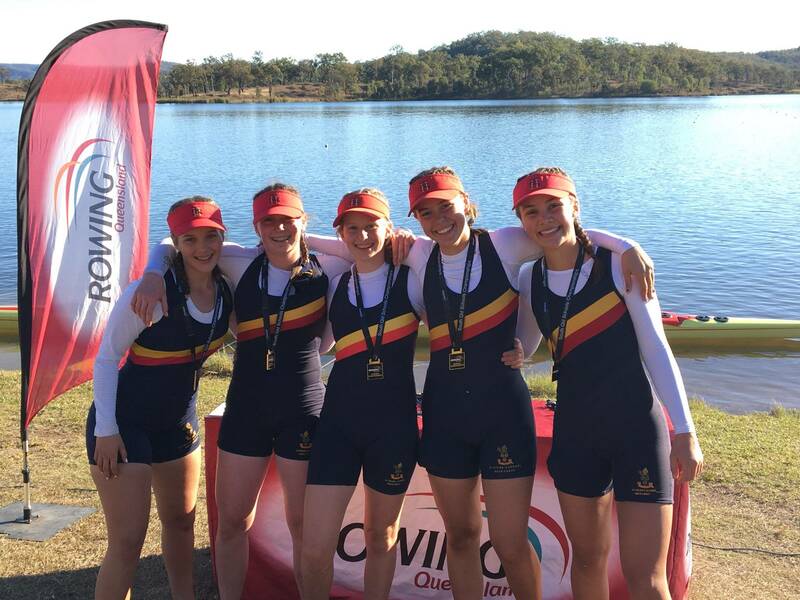 The improvement in results over the past four regattas is from the girls’ hard work in training and their determination to perform well for themselves, their crewmates and St Hilda’s school. The Head of River is on the 1 September, less than two weeks away. 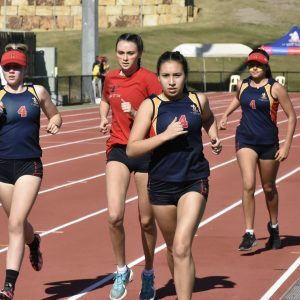 We would like to encourage as many girls as possible to come out and cheer on all the girls at Wyaralong. Everyone has worked exceptionally hard over the past 19 weeks, so it would great to have as many spectators as possible. The bell has certainly been getting a workout this season with another weekend of fantastic performances and 25 wins across the board. Congratulations and thanks to the many personnel that have put in countless hours and much effort to date preparing (and feeding) the girls for the 2018 BSRA season. 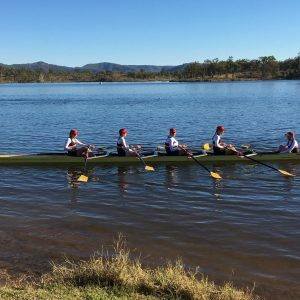 If you are looking for an escape this Show Day long weekend, come out to Wyaralong Rowing Facility on Saturday 1 September for the 2018 BSRA Head of the River where you will not be disappointed. 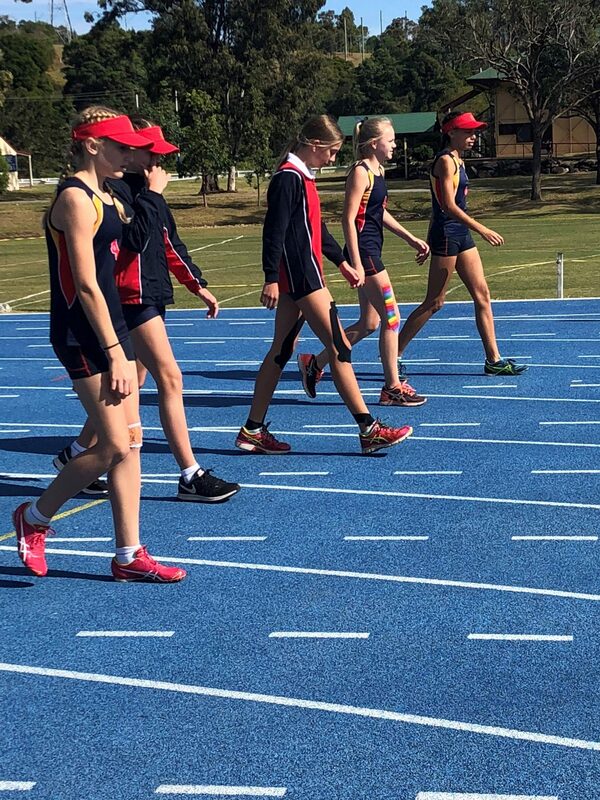 Our girls have worked so hard over the past few months preparing for the racing season reflecting much grit and determination. Keep up the good work! 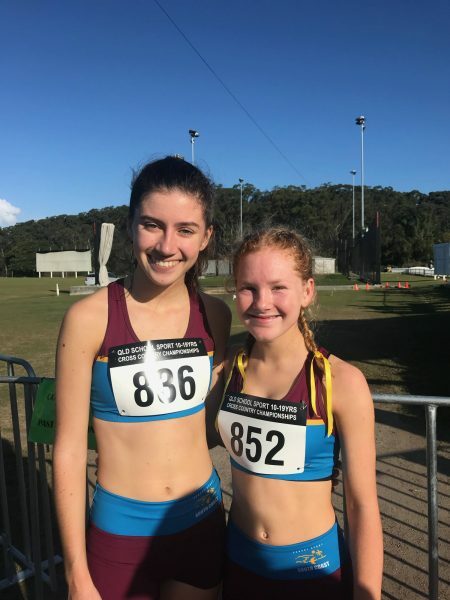 Congratulations to Caitlin Boyle who placed 17th and Maeve Doherty who placed 23rd in the State Cross Country in late July. 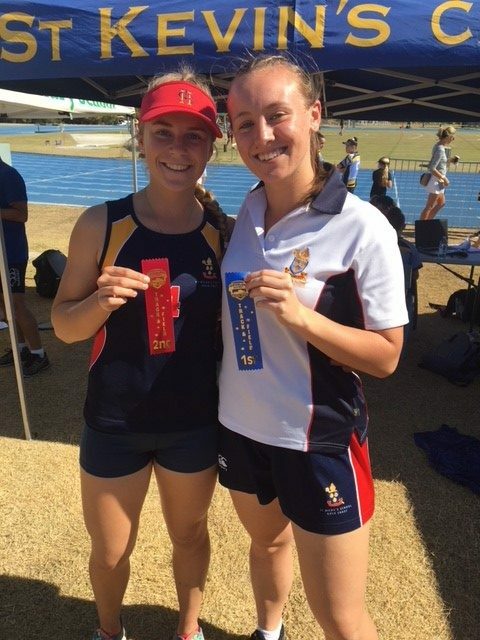 Both girls are having a great season so far and have their sights on qualifying for Nationals. 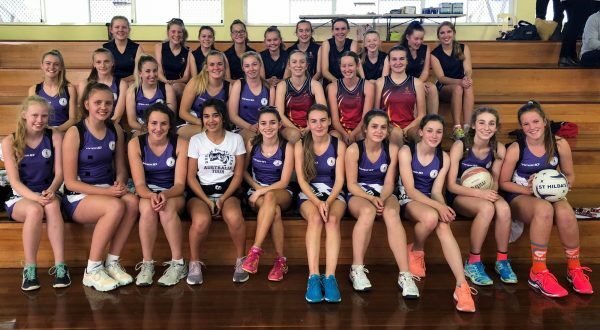 On Thursday 9 August, two netball teams from Durham Netball Club in the England visited our school to play against two of our QGSSSA netball teams. Thanks to the girls who participated and the coaches and parents who came along to support to friendly matches. This is certainly something we would like to continue to do for St Hilda’s Netball. 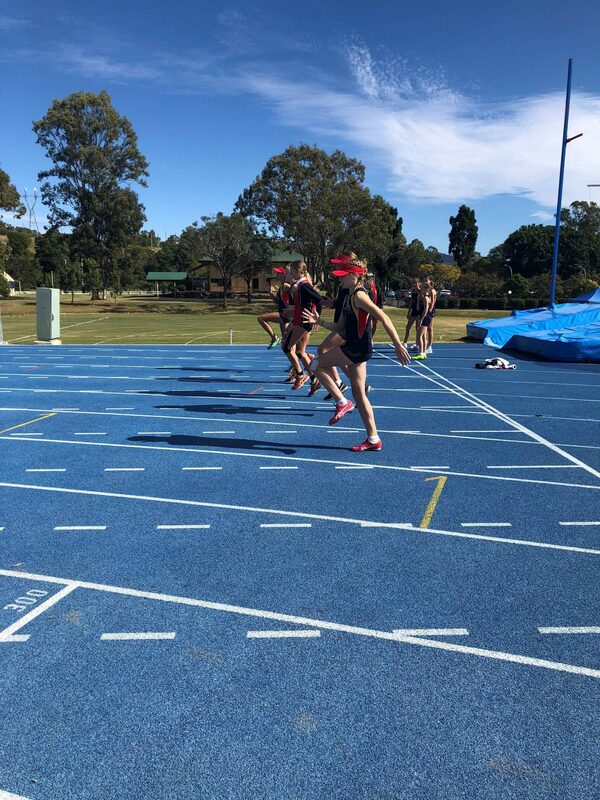 For all enquiries relating to Middle Senior Sport at St Hilda’s please email sport@sthildas.qld.edu.au and ensure that you have downloaded the isthildas app for all of our sporting notices. Our weekly QGSSSA Fixtures ‘Order of Play’ with relevant staff contact numbers are on the app. 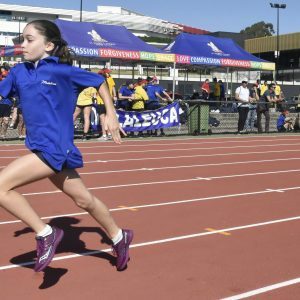 Should you need to get in contact with St Hilda’s School Venue Coordinators or the Head of Sport for urgent matters.